Tencreek in Cornwall sleeps between 6 and 8 people, with the accommodation being apartments and caravans. Tencreek offers a gentle West Country climate and a wonderful holiday location between the popular resorts of Looe and Polperro. 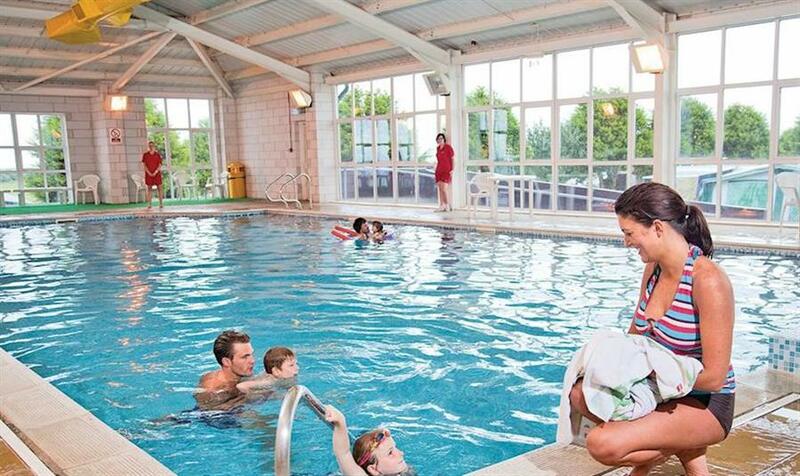 There’s always something going on, with facilities including an indoor heated swimming pool (available all year), and children have an adventure play area and multi sports pitch. The park has a reputation for providing some of the best evening entertainment around, with live groups, discos, dancing and cabaret. The park is the closest holiday park to the historic town of Looe, just over a mile away and access is via a country lane. If you enjoy walking, you’ll find the coastal path to popular Talland Bay, Looe and Polperro rewarding for its spectacular views. The local beaches are also excellent, with rocky coves and inlets abound. If you want to find out what other people have said about Tencreek, read the reviews on Tencreek for more information. And, for those last minute bargains, have a look at some of the special offers available at Tencreek. New in 2011 and 2010. 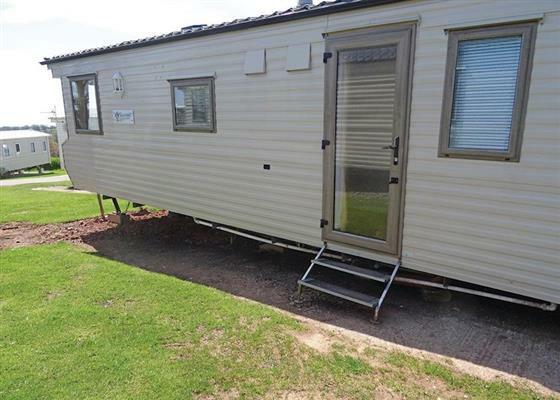 Superior 12ft-wide caravan with one double and one twin. Double glazed and centrally heated. No pets. Superior caravan with one double and one twin. Double glazed. Heating in bedrooms. 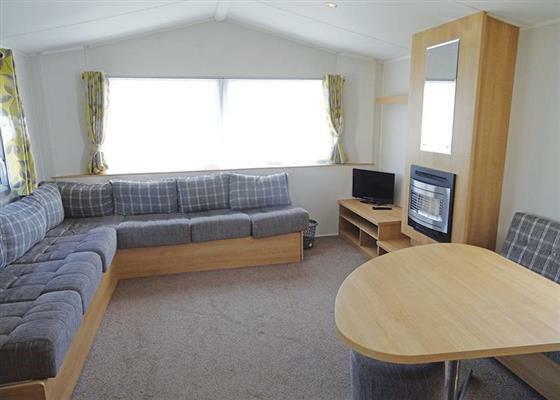 Spacious comfortable caravan with one double and two twin. Find out about Tencreek, including prices and availability. There aren't currently any special offers at Tencreek however, the special offers shown below are all on parks within 30 miles of Tencreek - so you may find these useful. Holiday at Maple Chalet in Cornwall starting on Saturday 27 April 2019 for 7 nights. Holiday at Willow in Cornwall starting on Saturday 27 April 2019 for 7 nights. Holiday at Walnut in Cornwall starting on Saturday 27 April 2019 for 7 nights. Holiday at Ash in Cornwall starting on Saturday 27 April 2019 for 7 nights. Holiday at Mylor in Cornwall starting on Saturday 27 April 2019 for 7 nights. Holiday at Porthtowan in Cornwall starting on Saturday 27 April 2019 for 7 nights. Holiday at Mitchell in Cornwall starting on Saturday 27 April 2019 for 7 nights. 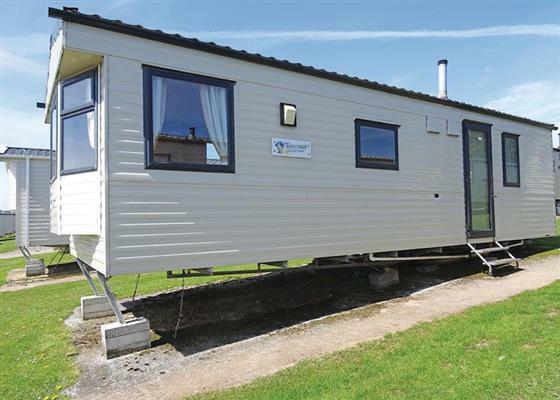 Holiday at Delabole in Cornwall starting on Saturday 27 April 2019 for 7 nights. Holiday at St Agnes in Cornwall starting on Saturday 27 April 2019 for 7 nights. Holiday at Penpol in Cornwall starting on Saturday 27 April 2019 for 7 nights. Holiday at Boscastle in Cornwall starting on Saturday 27 April 2019 for 7 nights. Holiday at Watergate in Cornwall starting on Saturday 27 April 2019 for 7 nights. Holiday at Wadebridge in Cornwall starting on Saturday 27 April 2019 for 7 nights. Holiday at Porth in Cornwall starting on Saturday 27 April 2019 for 7 nights. Holiday at St Ives in Cornwall starting on Saturday 27 April 2019 for 7 nights. Holiday at Cribbar in Cornwall starting on Saturday 27 April 2019 for 7 nights. Holiday at Wadebridge 2 in Cornwall starting on Saturday 27 April 2019 for 7 nights. Holiday at Wadebridge 3 in Cornwall starting on Saturday 27 April 2019 for 7 nights. Holiday at St. Austell 3 in Cornwall starting on Saturday 27 April 2019 for 7 nights. Holiday at Wadebridge Premier 2 in Cornwall starting on Saturday 27 April 2019 for 7 nights. Holiday at Nordic Lodge in Devon starting on Saturday 27 April 2019 for 7 nights. Holiday at Redwood Lodge in Devon starting on Saturday 27 April 2019 for 7 nights. Holiday at Ashwater Lodge in Devon starting on Saturday 27 April 2019 for 7 nights. Holiday at Woodlands Cottage in Devon starting on Saturday 27 April 2019 for 7 nights. Holiday at Padstow in Cornwall starting on Saturday 27 April 2019 for 7 nights. Holiday at Treburrick in Cornwall starting on Saturday 27 April 2019 for 7 nights. Holiday at Truro in Cornwall starting on Saturday 27 April 2019 for 7 nights. Holiday at Budock in Cornwall starting on Saturday 27 April 2019 for 7 nights. Holiday at Bude in Cornwall starting on Saturday 27 April 2019 for 7 nights. Holiday at Skylark 2 in Cornwall starting on Saturday 27 April 2019 for 7 nights. Holiday at Skylark 3 in Cornwall starting on Saturday 27 April 2019 for 7 nights. Holiday at Osprey 2 in Cornwall starting on Saturday 27 April 2019 for 7 nights. Holiday at Garden Cottage in Cornwall starting on Saturday 27 April 2019 for 7 nights. Holiday at Super Finch in Devon starting on Saturday 27 April 2019 for 7 nights. Holiday at Super Robin in Devon starting on Saturday 27 April 2019 for 7 nights. Holiday at Gorran 2 in Cornwall starting on Saturday 27 April 2019 for 7 nights. Holiday at Mevagissey 2 in Cornwall starting on Saturday 27 April 2019 for 7 nights. Holiday at Hemmick 2 in Cornwall starting on Saturday 27 April 2019 for 7 nights. Holiday at Hemmick 3 in Cornwall starting on Saturday 27 April 2019 for 7 nights. Holiday at Osprey in Devon starting on Saturday 27 April 2019 for 7 nights. Holiday at Ocean View Cottage in Devon starting on Saturday 27 April 2019 for 7 nights. 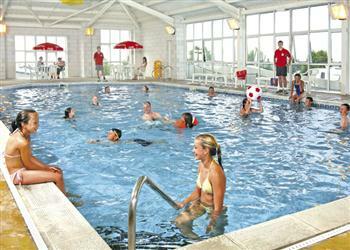 There are 151 holiday parks within 5 miles of Tencreek. 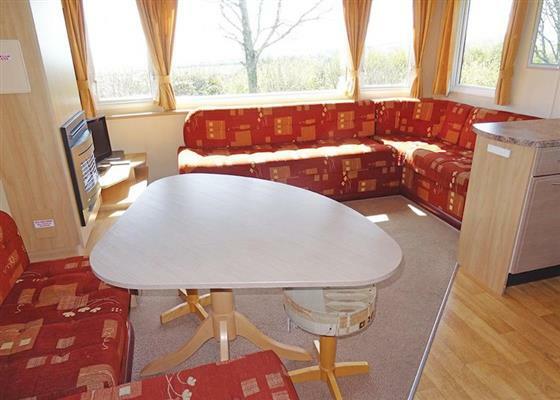 Lower Margate in Bodmin, Cornwall, and sleeps 10 people. 12 miles. Clarence Grey House in Torquay, Devon, and sleeps 8 people. 44 miles. Warleigh Lodge in Plymouth, Devon. 15 miles. Broad Downs Farmhouse in Salcombe, Devon. 31 miles. Georges Cottage in Clovelly, Devon. 45 miles. Bay Cottage in Newquay, Cornwall. 27 miles. Woodlands in Gunnislake, Cornwall. 16 miles. Bannisters in St. Agnes, Cornwall, and sleeps 4 people. 31 miles. The Cabin in Port Isaac, Cornwall, and sleeps 2 people. 22 miles. Trewennick House in Ashwater, Devon, and sleeps 9 people. 29 miles. Chy-An-Eglos in Wadebridge, Cornwall, and sleeps 2 people. 17 miles. Lake House in Torrington, Devon. 47 miles. Chilsworthy Farm Cottage in Callington, Cornwall, and sleeps 3 people. 17 miles. Fishermans Cottage in Mevagissey, Cornwall, and sleeps 4 people. 14 miles. Lilac Cottage in Bude, Cornwall, and sleeps 8 people. 33 miles. The Retreat in Harbertonford, Devon, and sleeps 6 people. 34 miles. Trethiggey Farmhouse in Newquay, Cornwall. 24 miles. The Bolt Hole in Tavistock, Devon. 18 miles. Little Pengarrock in Helston, Cornwall, and sleeps 6 people. 33 miles. Bee Bowl Cottage in Bideford, Devon, and sleeps 5 people. 46 miles. Dilly Dally Barn in Holsworthy, Devon, and sleeps 5 people. 35 miles. Molly's Cottage in Torquay, Devon, and sleeps 6 people. 43 miles. Haven Cottage in Port Isaac, Cornwall, and sleeps 4 people. 23 miles. Ridgefield House in Longdown, Devon, and sleeps 8 people. 46 miles. 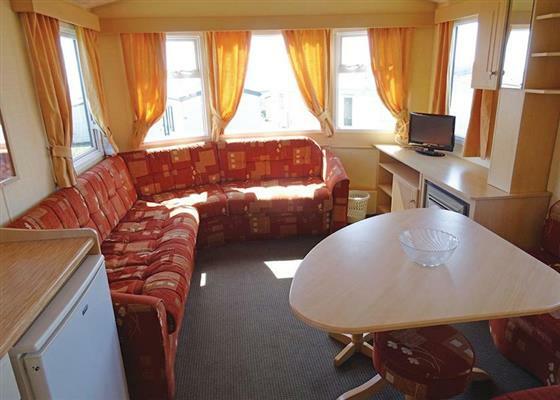 The Mowhay in Redruth, Cornwall, and sleeps 4 people. 33 miles. Higher Thorne Cottage in Bodmin, Cornwall, and sleeps 8 people. 11 miles. Sandy Bottom Cottage in Brixham, Devon, and sleeps 6 people. 43 miles. Little Acre in Porthtowan, Cornwall, and sleeps 6 people. 32 miles. The Little Blue House in Penzance, Cornwall, and sleeps 5 people. 49 miles. Bridge Cottage in Paignton, Devon, and sleeps 5 people. 40 miles. Driftwood Cottage in Falmouth, Cornwall, and sleeps 5 people. 31 miles. Filleigh End in Chudleigh, Devon, and sleeps 6 people. 44 miles. Wenford Hall in St Breward, Cornwall, and sleeps 10 people. 17 miles. Christmas Cottage in Chulmleigh, Devon, and sleeps 6 people. 45 miles. Coltscombe Court in Slapton, Devon, and sleeps 8 people. 36 miles. Boxtree Barn in East Allington, Devon, and sleeps 4 people. 34 miles. The Blacksmiths Shop in Bodmin, Cornwall, and sleeps 2 people. 10 miles. Lynches in Bideford, Devon, and sleeps 8 people. 44 miles. Swinnerton in Bantham, Devon, and sleeps 8 people. 28 miles. Old Traine Barn in Modbury, Devon, and sleeps 10 people. 27 miles. Hollywell Barn in Liskeard, Cornwall, and sleeps 6 people. 7 miles. Corner Cottage in Chagford, Devon, and sleeps 6 people. 38 miles. Monkey Puzzle Cottage in Bude, Devon, and sleeps 9 people. 34 miles. Lower Manor Farm in Ringmore, Devon, and sleeps 12 people. 26 miles. The Old Bakehouse in Dittisham, Devon, and sleeps 8 people. 39 miles. Lyndhurst in Highampton, Devon, and sleeps 12 people. 19 miles. Higher Hill Barn in Kingsbridge, Devon, and sleeps 10 people. 34 miles. Steamer Quay Cottage in Paignton, Devon, and sleeps 10 people. 41 miles. Coombe Park in Chillington, Devon, and sleeps 10 people. 35 miles. Lodge House in Salcombe, Devon, and sleeps 8 people. 29 miles. Pusehill Barn in Bideford, Devon, and sleeps 10 people. 48 miles. Spinnaker Cottage in Salcombe, Devon. 33 miles. The Linney in Tamar Valley, Cornwall, and sleeps 2 people. 17 miles. Bridge Park Cottage in Kingsbridge, Devon, and sleeps 10 people. 33 miles. Higher Westcott Farm in Moretonhampstead, Devon, and sleeps 12 people. 41 miles. The Stumbles in Salcombe, Devon, and sleeps 11 people. 33 miles. Ananda in Salcombe, Devon, and sleeps 8 people. 32 miles. Little Barn in Kingsbridge, Devon. 25 miles. Treworgie Barton in Bude, Cornwall, and sleeps between people. 28 miles. Dunley Farmhouse in Newton Abbot, Devon, and sleeps 11 people. 41 miles. Rill House in Slapton, Devon, and sleeps 8 people. 37 miles. Bottor Rock Lodge in Bovey Tracey, Devon, and sleeps 10 people. 41 miles. Overcombe in Salcombe, Devon, and sleeps 14 people. 33 miles. Gooseham Barton Farm Cottages in Morwenstow, Cornwall. 39 miles. The Headmasters Cottage in Callington, Cornwall. 13 miles. Drake House in Hope Cove, Devon, and sleeps 10 people. 29 miles. Middle Rock in Brixham, Devon, and sleeps 8 people. 43 miles. Cobesta House in Falmouth, Cornwall, and sleeps 12 people. 29 miles. Mer-boes in Portwrinkle, Cornwall, and sleeps 6 people. 8 miles. Spindrift in Thurlestone, Devon. 28 miles. Trevalley in Pendoggett, Cornwall, and sleeps 6 people. 21 miles. Middle Silver in Dartmouth, Devon, and sleeps 4 people. 40 miles. Thorn Cottage in Chagford, Devon, and sleeps 6 people. 35 miles. South Riding in Thurlestone, Devon. 28 miles. Higher Brownstone Farmhouse in Kingswear, Devon, and sleeps 12 people. 41 miles. Chy An Huder in Cury, Lizard Point, and sleeps 12 people. 39 miles. Sunnyside in East Prawle, Devon, and sleeps 10 people. 36 miles. Higher Venice in Allaleigh, Devon, and sleeps 12 people. 36 miles. Batson House in Salcombe, Devon. 32 miles. Glebe House Cottages in Holsworthy, Devon, and sleeps 35 people. 31 miles. Manor Farm in Torquay, Devon, and sleeps 10 people. 43 miles. Mariners House in Bideford, Devon, and sleeps 10 people. 48 miles. The Old Vicarage in Penzance, Cornwall, and sleeps 10 people. 42 miles. The Old House in Exeter, Devon, and sleeps 14 people. 43 miles. Pamflete House in Flete Estate, Devon, and sleeps 18 people. 24 miles. Shingle House in Torcross, Devon, and sleeps 8 people. 37 miles. Amberstone Manor in Chulmleigh, Devon, and sleeps 24 people. 47 miles. Cullaford Cottage in Combe, Devon, and sleeps 4 people. 31 miles. Four Seasons Barn in Torrington, Devon, and sleeps 13 people. 40 miles. Buckland Barn in Great Torrington, Devon, and sleeps 12 people. 42 miles. Candlelight Cottage in Littlehempston, Totnes, and sleeps 10 people. 37 miles. White Shores in Praa Sands, Cornwall, and sleeps 11 people. 43 miles. Heatherdale in Salcombe, Devon, and sleeps 10 people. 32 miles. Bridleway House in Salcombe, Devon, and sleeps 10 people. 32 miles. Sherrill Farmhouse at Sherrill Farm Holiday Cottages in Tavistock, Devon, and sleeps 22 people. 19 miles. Horsecombe Dairy in Horsecombe, Salcombe, and sleeps 16 people. 32 miles. Pond House in Bigbury-on-Sea, Devon, and sleeps 10 people. 27 miles. Belle Rives in Newquay, Cornwall, and sleeps 10 people. 26 miles. Barwick in Okehampton, Devon, and sleeps 12 people. 38 miles. Wild Goose Barn & The Creamery in Kingston, Devon, and sleeps 12 people. 26 miles. Lowena in Tregonetha, Cornwall, and sleeps 6 people. 18 miles. Kennacott House at Kennacott Court Cottages in Widemouth, Cornwall, and sleeps 11 people. 30 miles. Fiddlers Green in St Mawes, Cornwall, and sleeps 12 people. 27 miles. Blue Seas in Mawgan Porth, Cornwall, and sleeps 11 people. 25 miles. Helsett Farmhouse in Boscastle, Cornwall, and sleeps 10 people. 25 miles. Lower Easton Farmhouse in Salcombe, Devon, and sleeps 10 people. 31 miles. Place House in Bideford, Devon, and sleeps 6 people. 48 miles. The Cider Press in Stoke Gabriel, Devon, and sleeps 8 people. 38 miles. Fistral Lookout in Newquay, Cornwall, and sleeps 4 people. 27 miles. Bolberry Court in Hope Cove, Devon, and sleeps 5 people. 30 miles. Cox Hill House in Chacewater, Cornwall, and sleeps 10 people. 31 miles. Old Farm House in Coverack Bridges, Cornwall, and sleeps 8 people. 37 miles.